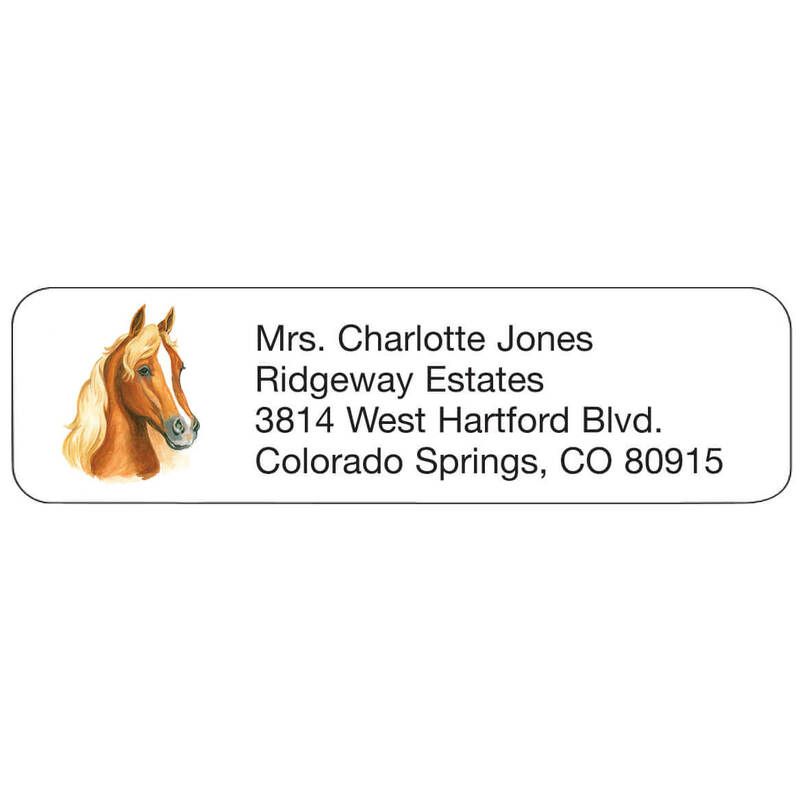 I have ordered these labels before but the picture of the Horse was not what I expected. Too light to see.features should have been darker. What I do like it saves time writing out your return address when there is a substantial mailing to be done. I will use all of the labels but hesitate to purchase again without seeing the picture of the horse beforehand. Because I love horses and have several. Country girl and loved horses, so perfect. Love horses, loved the pic of the buckskin. I have ordered these twice before and love them. Have been dealing with Walter Drake for years and have always been well satisfied with their products and service.